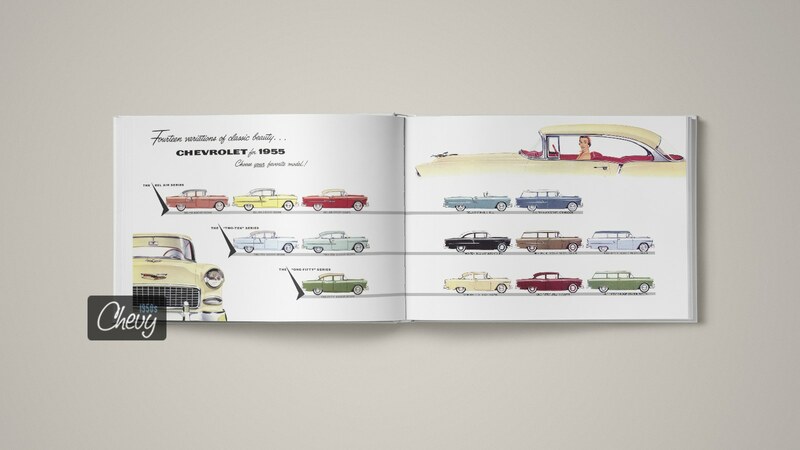 The 1955 Chevrolet is one of the most exciting cars to ever wear the bowtie badge. 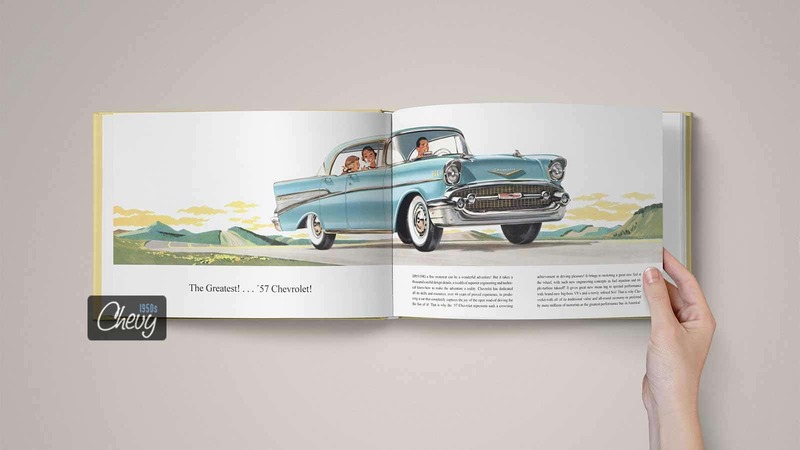 Its fabulous styling turned America’s most popular car of 1955 into THE classic car today. 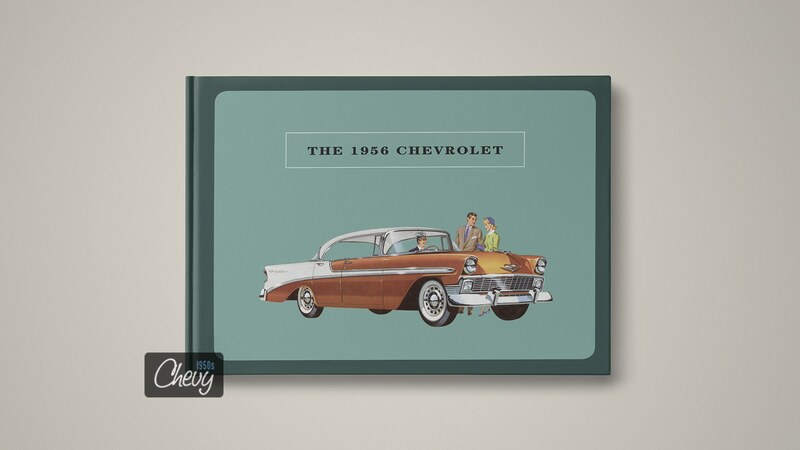 The 55 Chevy is considered a huge turning point for Chevrolet, which was available in three series: the 150, 210, and Bel Air. 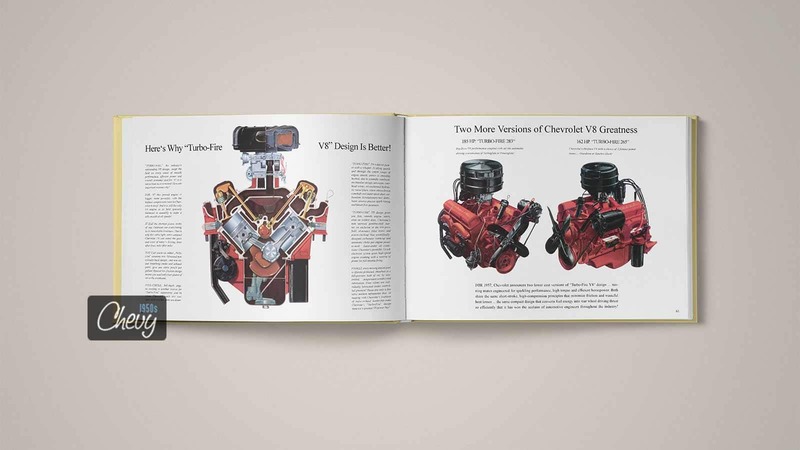 New for 1955 was the 265 cubic inch V8 and the Bel Air Nomad. 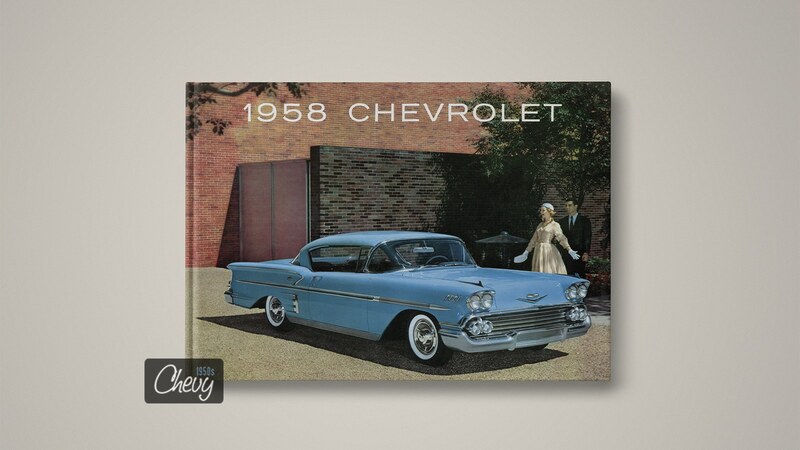 Chevrolet offered great car styling and an awesome showroom album to present the new models to potential buyers. 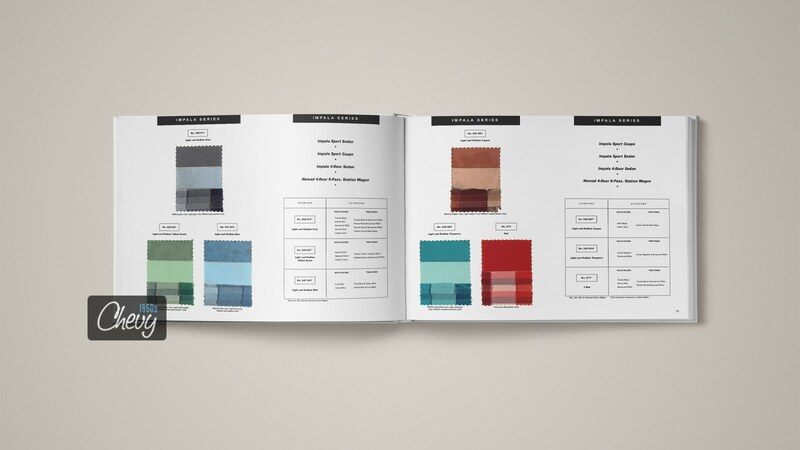 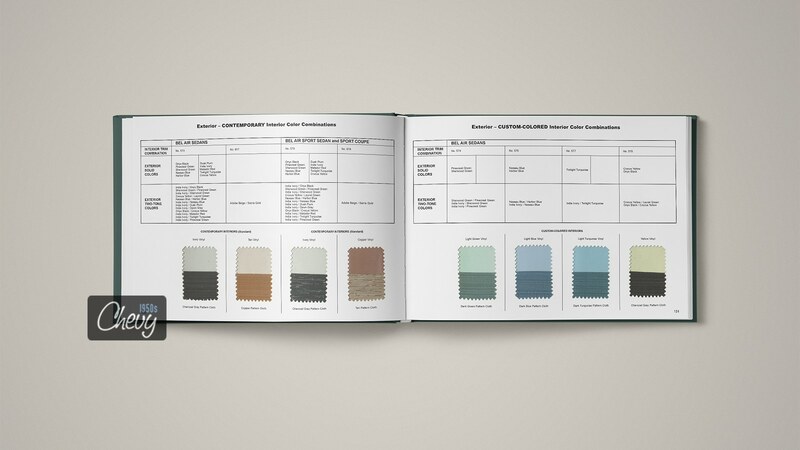 It covers models, features and samples of exterior paint and interior trim combinations. 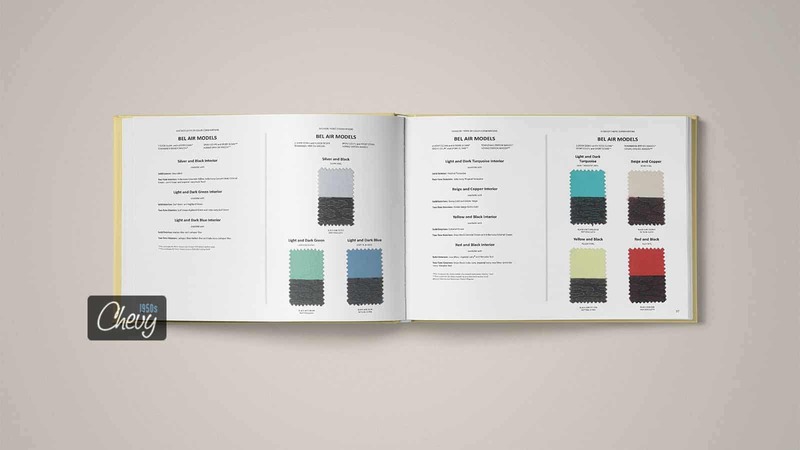 These books are very hard to find – and expensive, too! 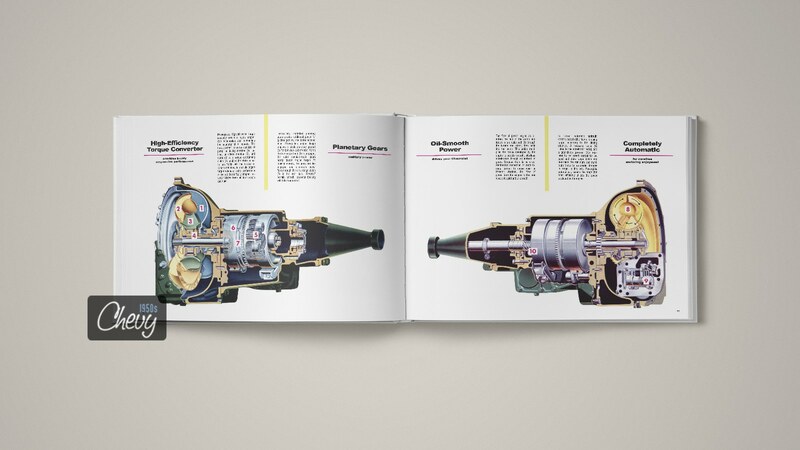 Get your reprint and receive a beauty of a bargain! 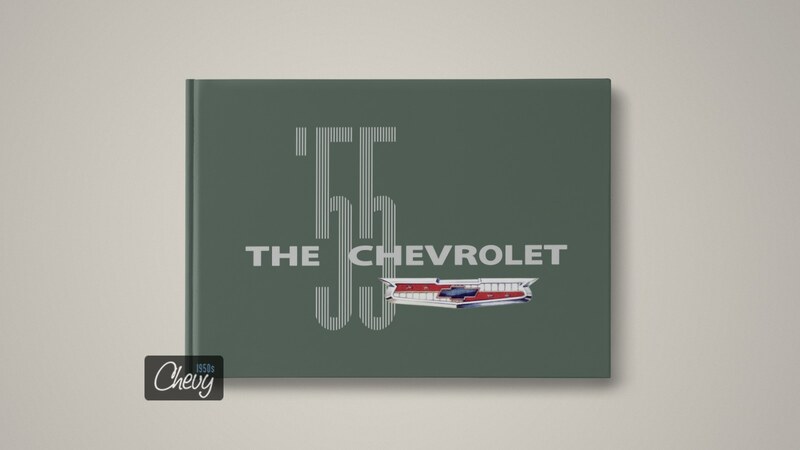 The 1956 Chevrolet set new records in the automotive industry. 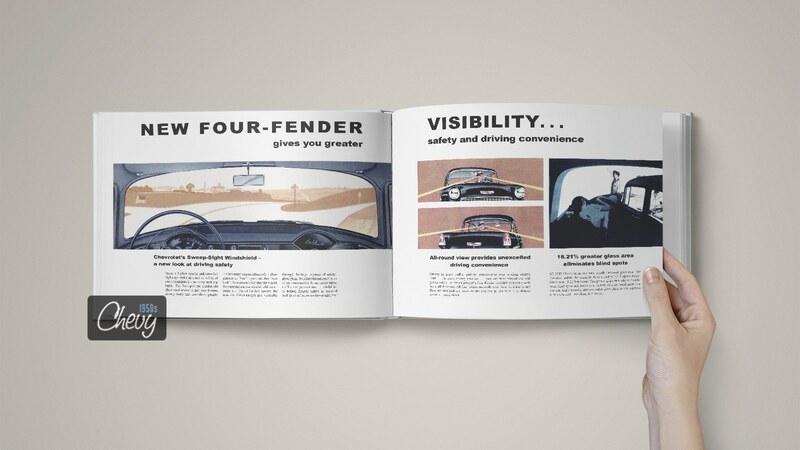 The 56 was one of the best selling cars of the entire 1950s. 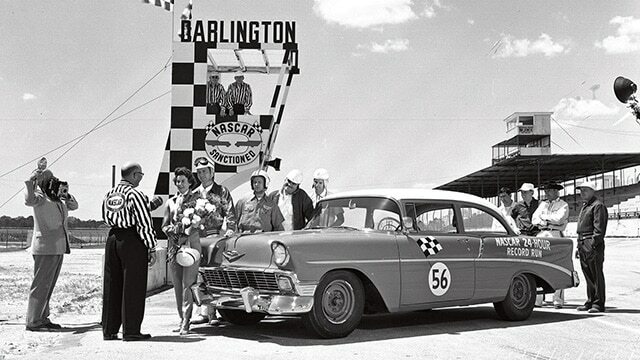 Chevrolet offered 19 models in 3 series for 1956: the luxurious Bel Air, the mid-range Two-Ten, and the One-Fifty. 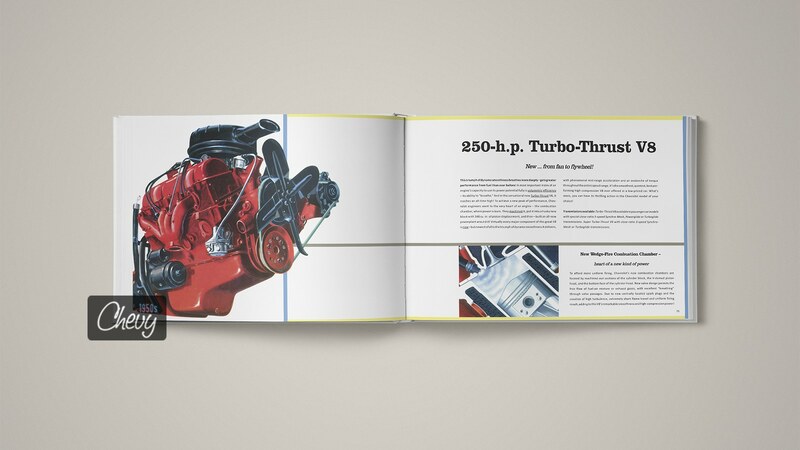 A new thrilling front-end design, record-high V8 engine performance and great engineering features made new car buyers happy – and created instantly one of the most desirable classics cars. 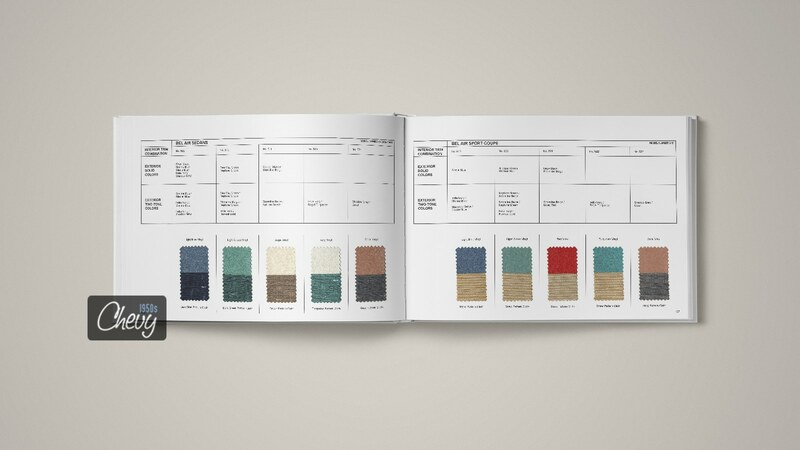 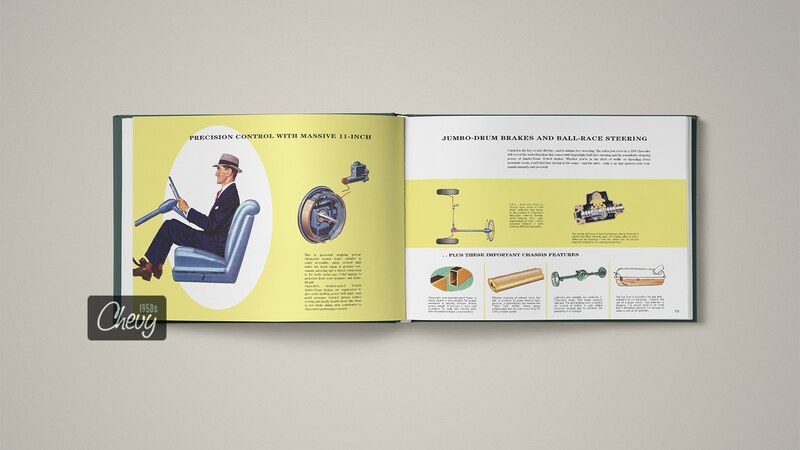 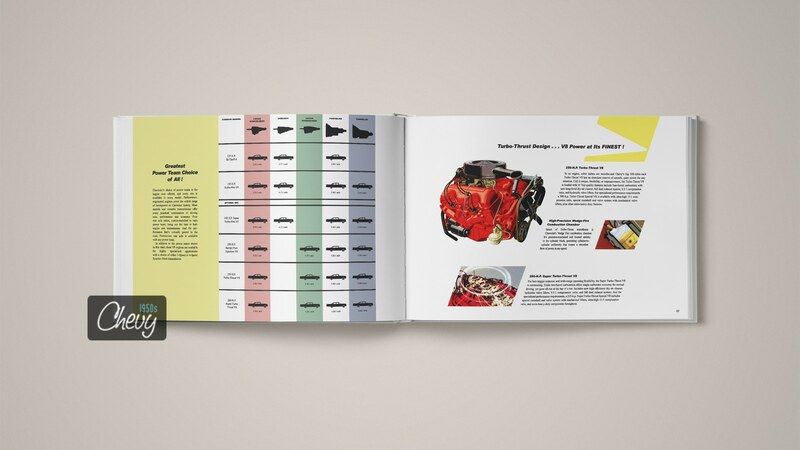 Chevrolet created a wonderful 1956 Chevrolet Showroom Album to show the remarkable design of the new model line along with all major engineering features. 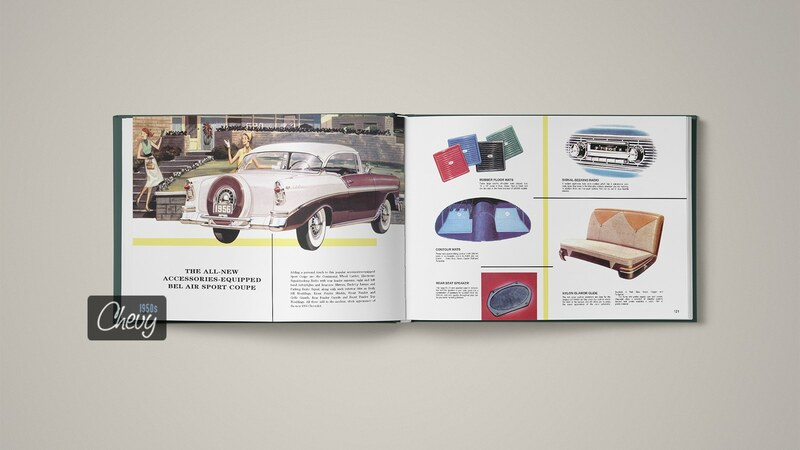 Each dealership received only one or two books. 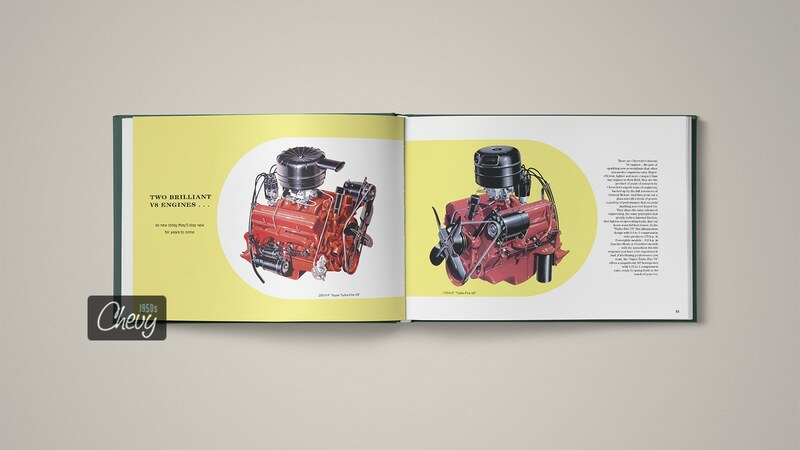 Now it’s your chance to own once of these rare beauties – with our high quality reprint! 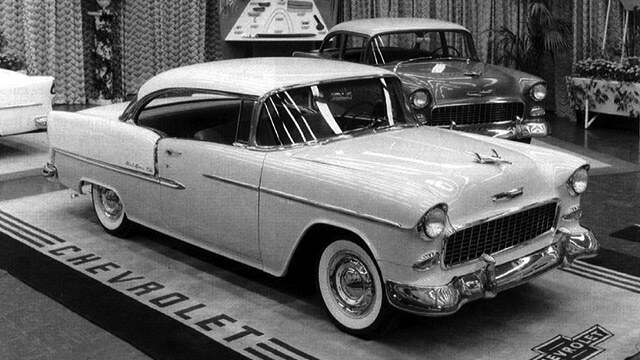 The 1957 Chevrolet was a huge success in the 1950s due to its georgeous Styling, impressive V8-Performance and outstanding Luxury. 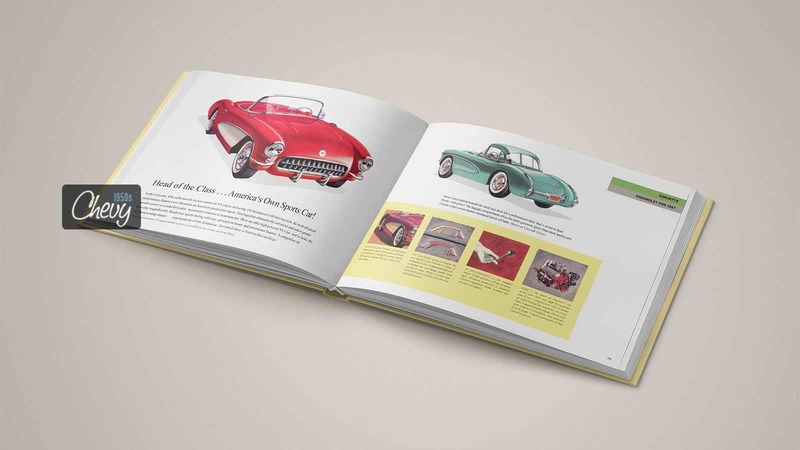 Today it is the most popular collector car of all mass-produced US cars. 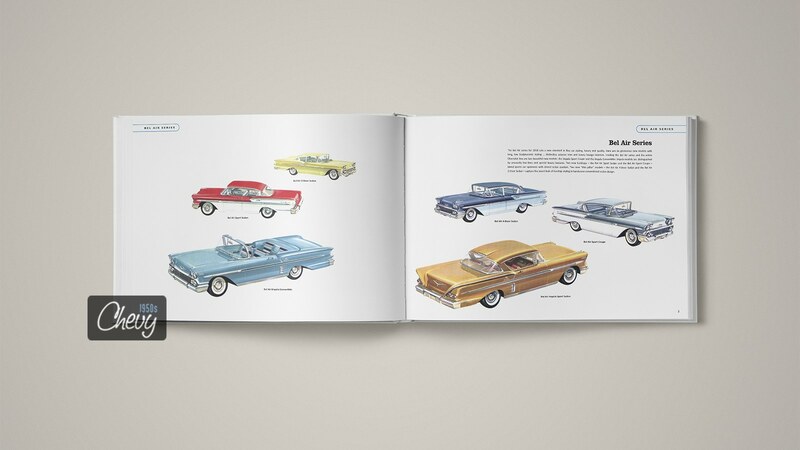 This automotive design icon came in three series: the upscale Bel Air, the mid-range Two-Ten, and the One-Fifty. 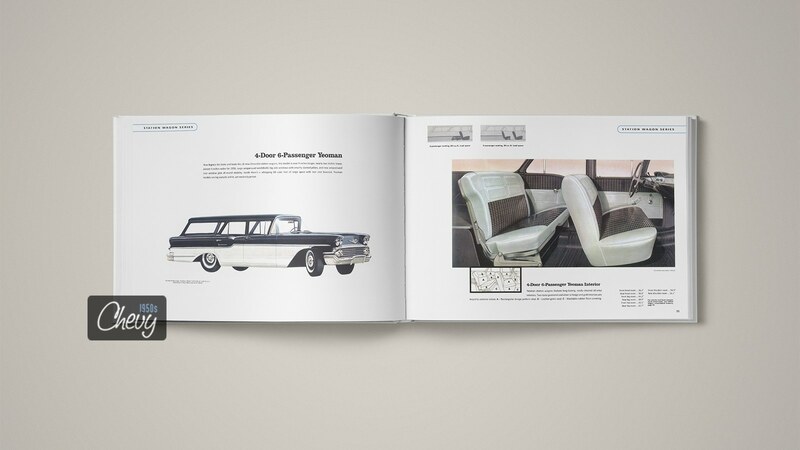 A two-door station wagon, the famous Chevy Nomad, was produced as a Bel Air model and had its own distinctive styling. 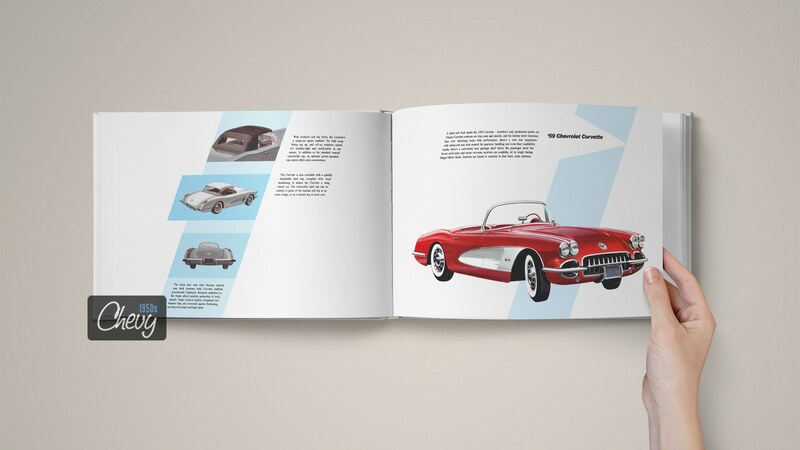 To many eyes, the 1957 Chevrolet Corvette is the most beautiful American sports car ever built. 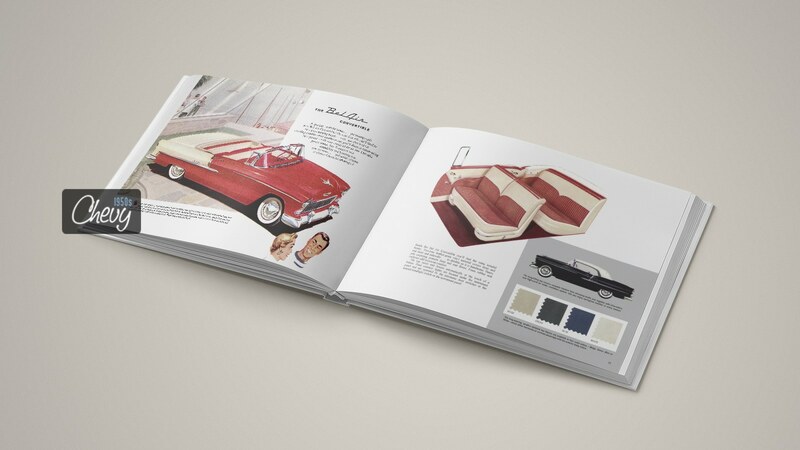 The 1957 Chevrolet Showroom Album is a tribute to the design and beauty of one of the finest and most memorable years in Chevrolets history. 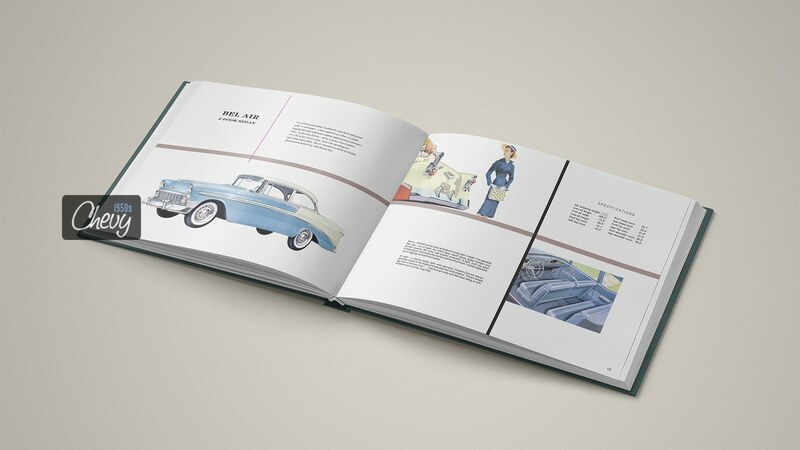 Get this ultra-rare and very collectable book for little money – with our high quality reprint! 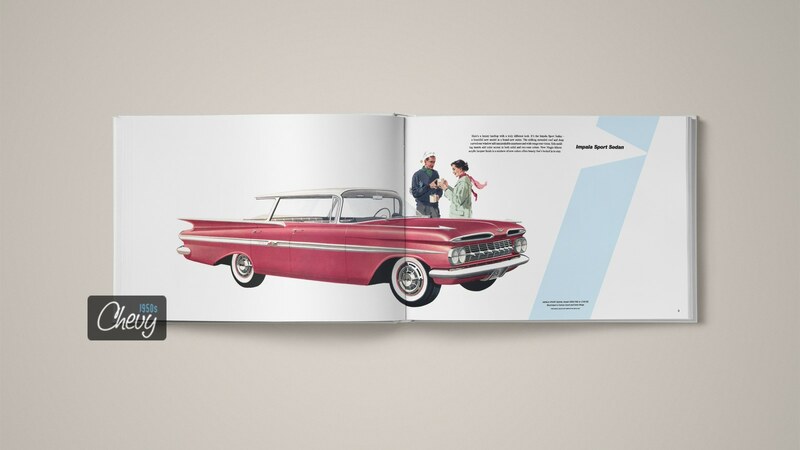 The 1958 Chevrolet Bel Air gained a halo vehicle in 1958, the Impala, available only as a hardtop coupe and convertible in its introductory year. 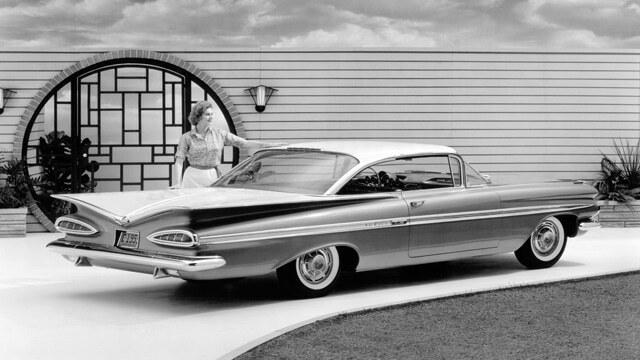 The Impala was the most exciting new shape in a new generation of cars. 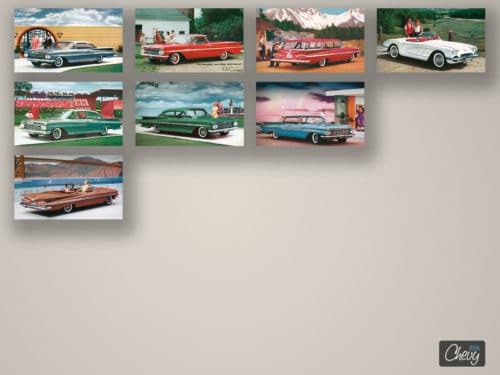 The body was lower, wider, longer as previous model year. 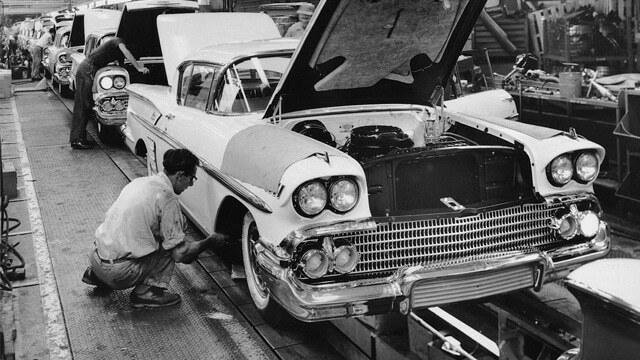 The 1958 Impala helped Chevrolet regain the number one production spot in a year of recession. 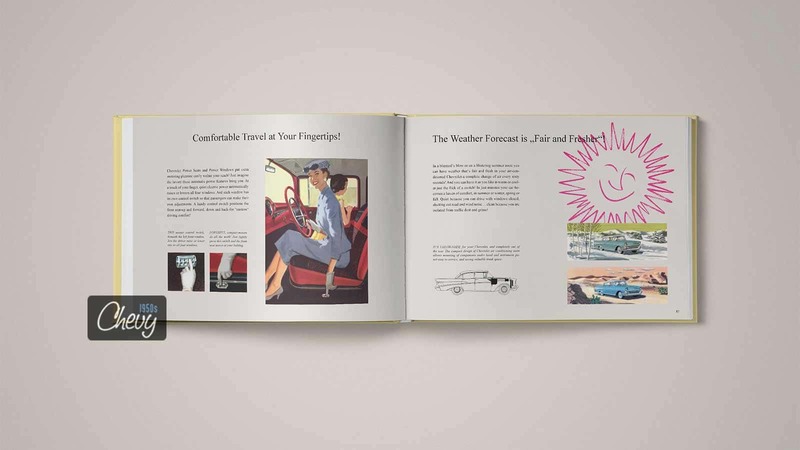 Advertisements said, the car “lets you know you’re the boss,” and for years to come, that’s exactly what it did. 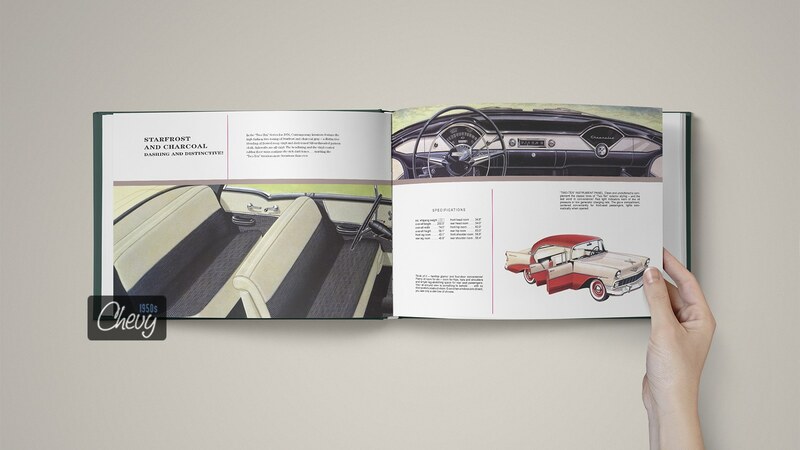 The holy grail for collectors, owners and fans of the 58 Chevy is the dealer showroom album. 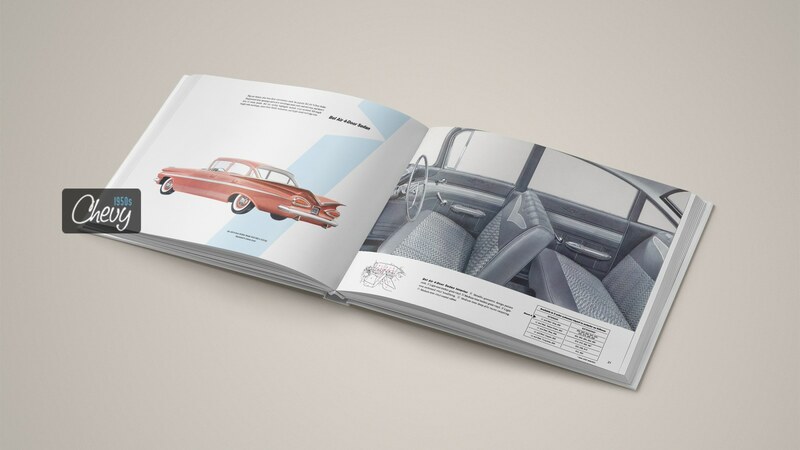 Chevrolet compiled all information about cars, features, styling, interiors and many more into a unique book. 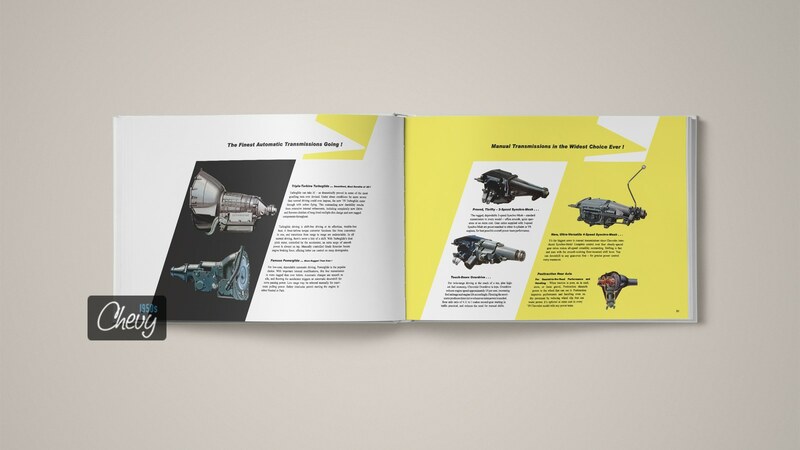 This rare memorabilia is now available as high quality reprint! 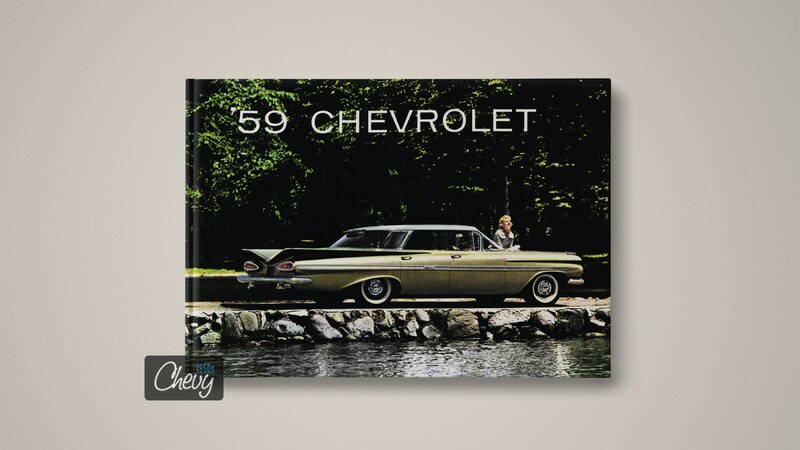 Wings, glass and chrome – in spite of tailfins being the American automobile styling rage in the 1950s, General Motors’ most popular car, the Chevrolet, introduced them in 1959. 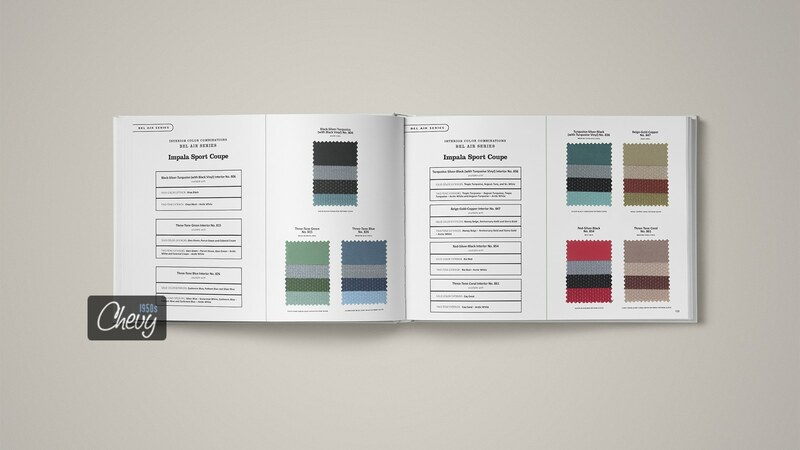 Its styling is a key inspiration source for designers and artists worldwide. 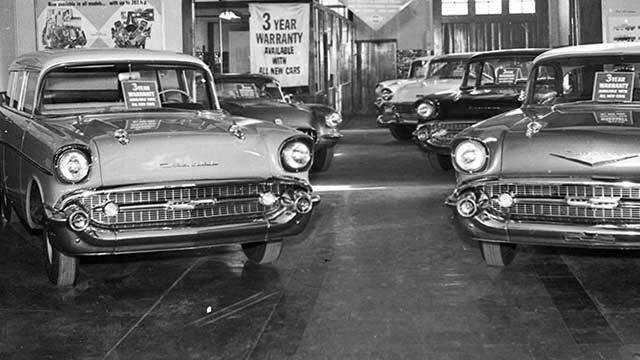 Over 1.5 million 1959 Chevrolet’s were built and due to their popularity many are still runing today. 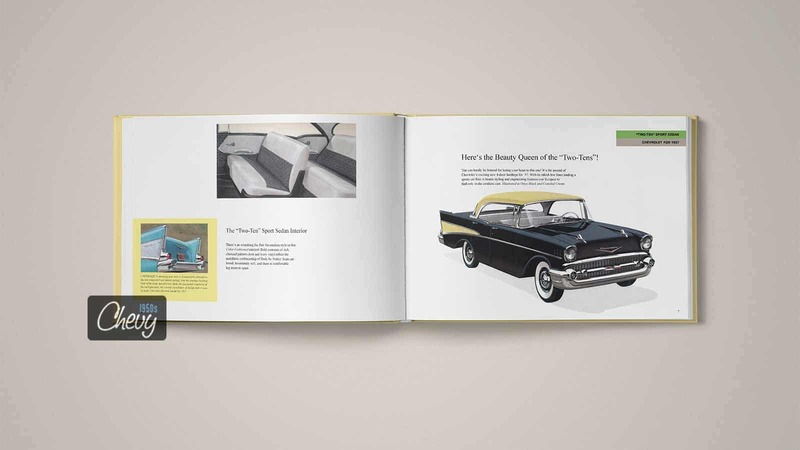 The Chevy Impala – named after a graceful African antelope – was elevated to top of the line status in 1959. 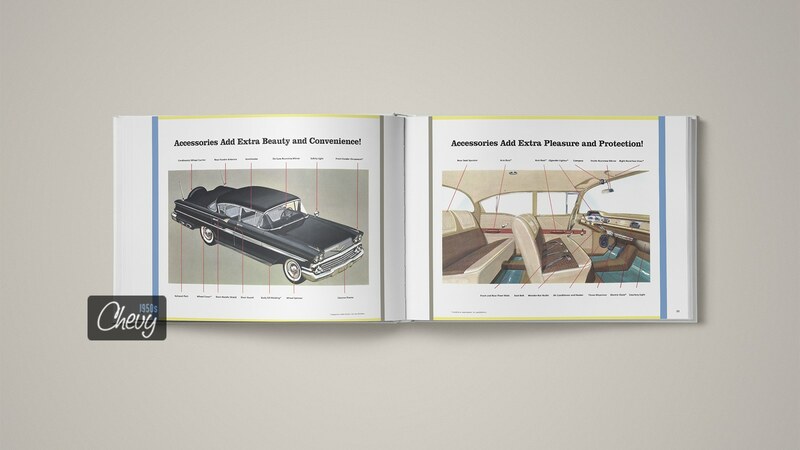 The Impala is widely credited for the muscle car craze of the 1960s. 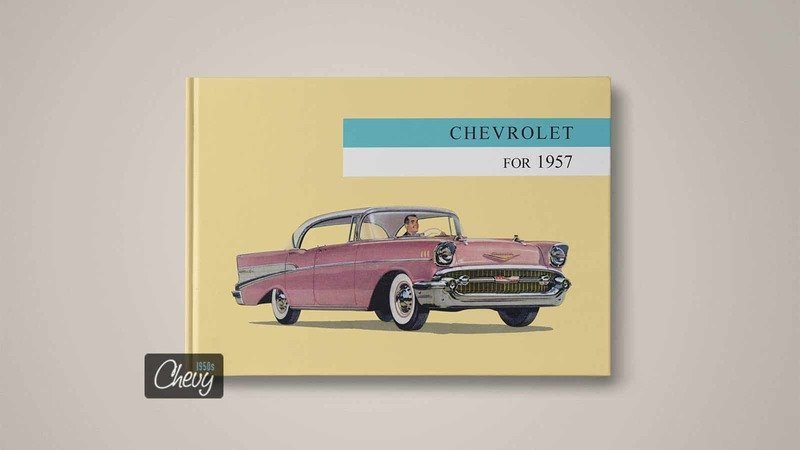 Learn more about series, models, engineering features, exterior colors & interior combinations of the 59 Chevy! 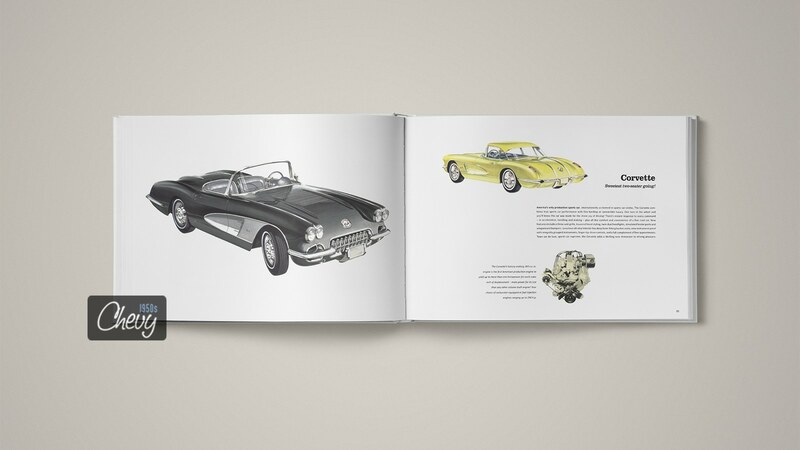 The showroom album covers all this and comes with beautiful graphics of all models, including the Corvette! 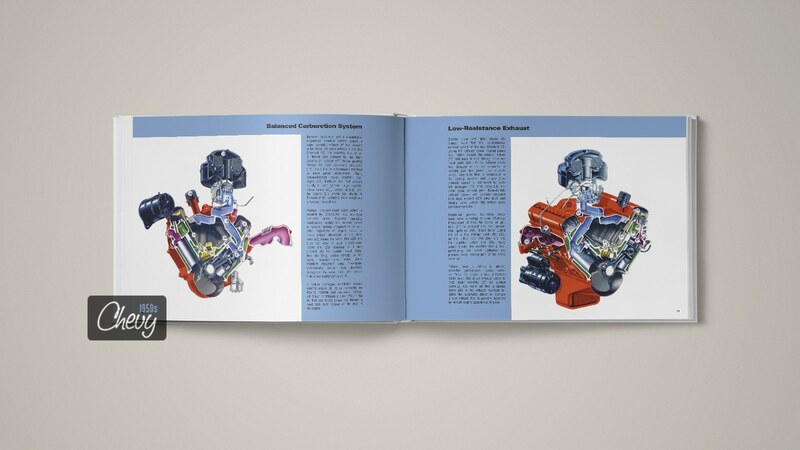 Save money by ordering a high quality reprint!